A NEW PHASE OF OUR FIGHT HAS JUST BEGUN. To date, contributions from your neighbors have allowed us to retain and partially pay a land use Legal team and planning expert, giving our community tools to oppose and be heard. Our Challengers in the endeavor against the The Circus Liquors Redevelopment Plan (CLRP), formerly known as Village 35, are the law firm Litwin & Provence, LLC; and Planning expert, Marta Lefsky. Another legal representative may be named in the future to oversee local hearings. Simply put, we can not continue the fight without your contributions to support our Legal professionals. Click to select your contribution option and proceed to the payment page. Please include your email address with your payment. This is important. Payments on your credit card statements will appear as Minding Middletown LLC, the parent company of Stop Village 35. Our group consists of volunteers. 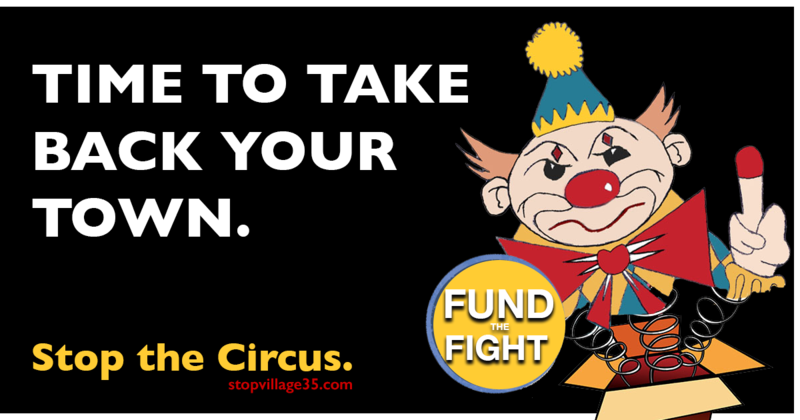 100% of donations go towards fighting the Village 35 proposal. Because we are an LLC, contributions are not tax-deductible.